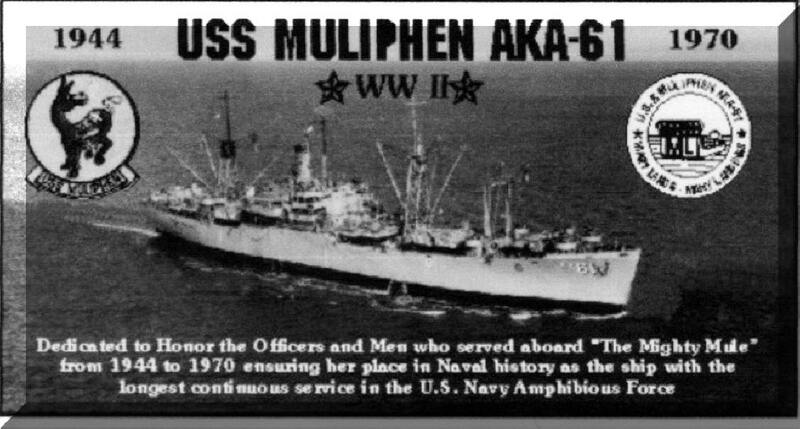 On October 13, 1987 a memorial was built to honor the men and women who served on the various oceans of the world during peace time and war. 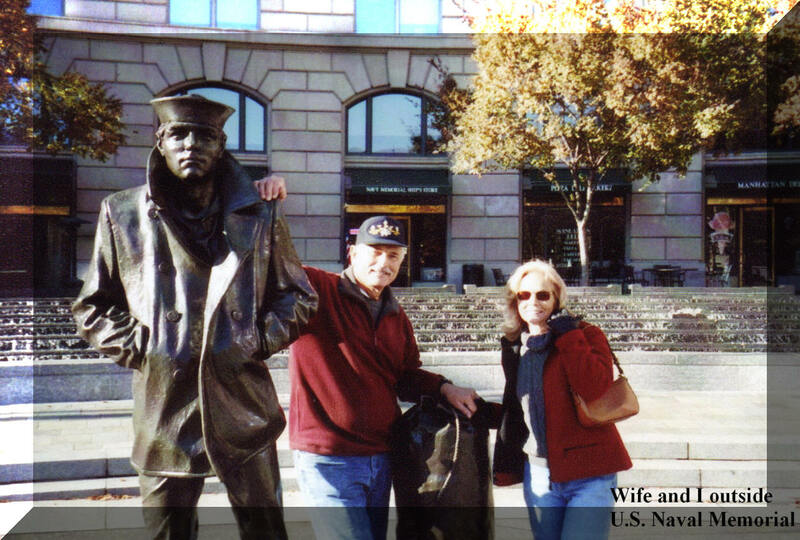 It was called the United States Navy Memorial. 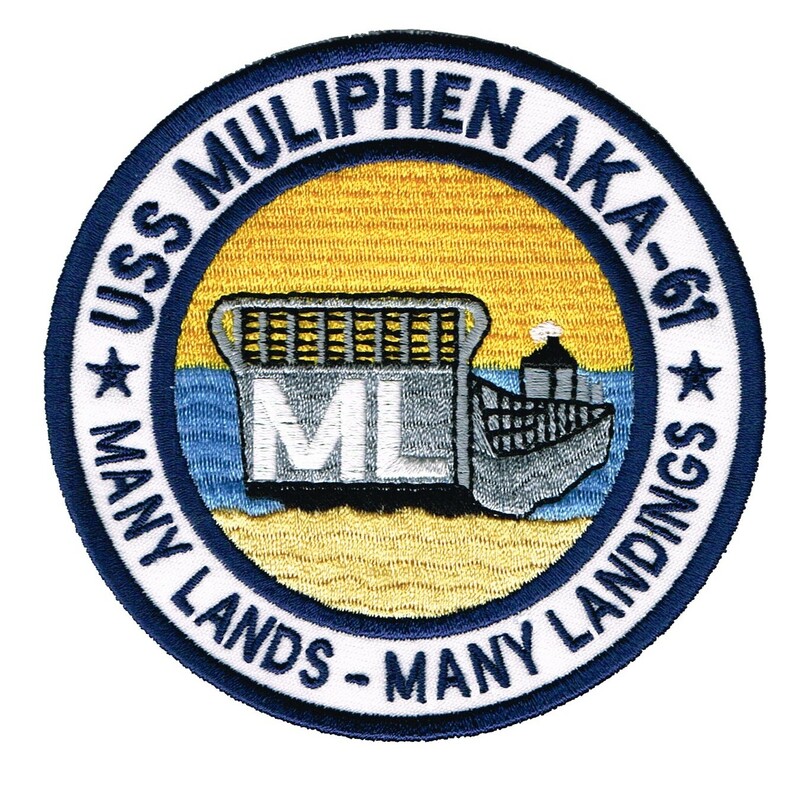 I am proud to be a Plank Owner of this organization and anyone who has served in the Navy, Coast Guard, Merchant Marine, and Marines is entitled to become a member, and I encourage any and all to do so. 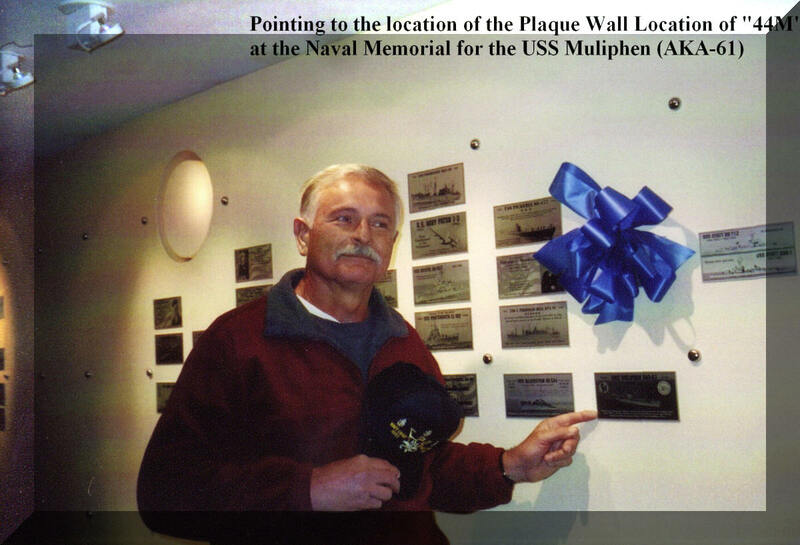 At the Memorial there is a commemorative wall that displays plaques that are provided by sponsorship. 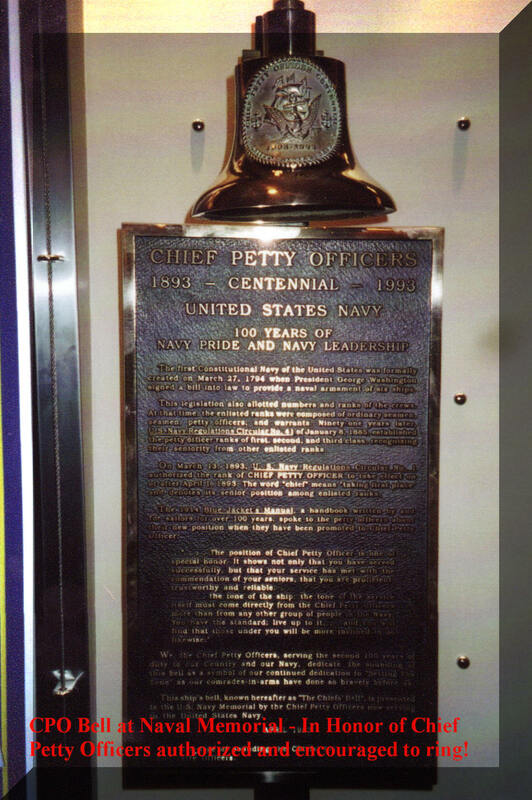 These plaques recognize the service of Navy ships, squadrons, and Sailors. They are on permanent display for visitors to the Capital to view and read when they walk through the Memorial. 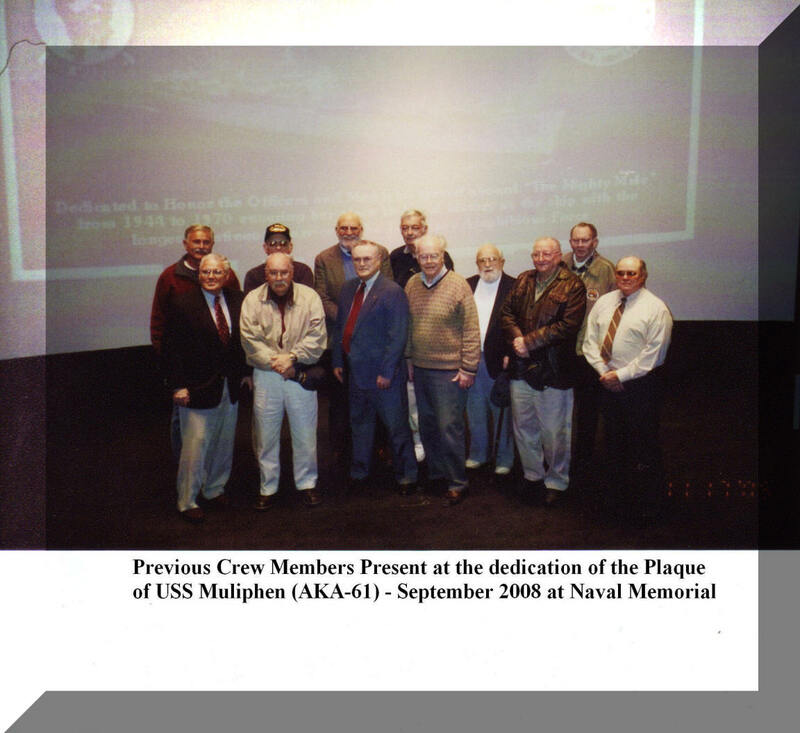 In September 2008, at the United States Navy Memorial at 701 Pennsylvania Ave., NW in Washington, D.C., some of the former crew of the USS Muliphen during various time periods, attended a ceremony in which a plaque was sponsored and dedicated in Honor of the servicemen who served aboard “The Mighty Mule” from 1944 to 1970 assuring her place in Naval history as the ship with the longest continuous service in the U.S. Naval Amphibious Force”. 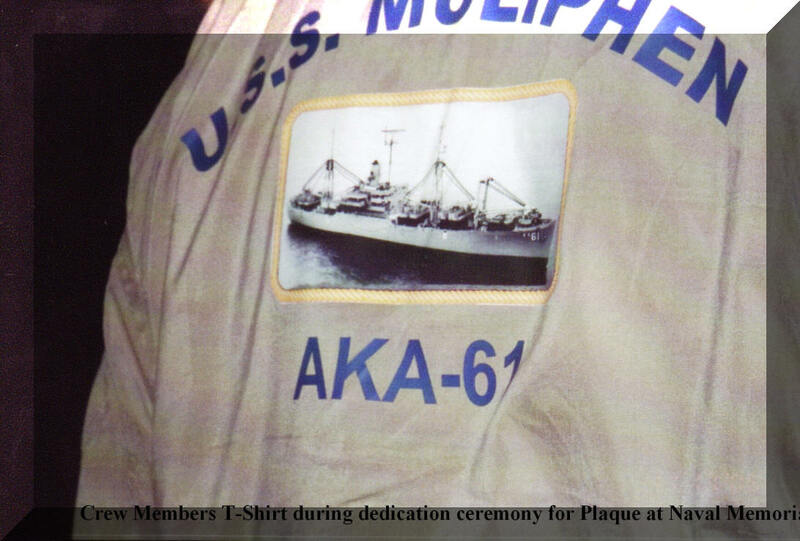 The sponsored Commemorative Plaque was mounted on the wall at the Navy Memorial and is also available to see on the website at the United States Navy Memorial. The dedication ceremony was in the Memorial Theater and during the ceremony; a member of the Memorial’s leadership team gave a speech honoring the Sponsors of the plaque, in addition to other speakers from the sponsoring group. 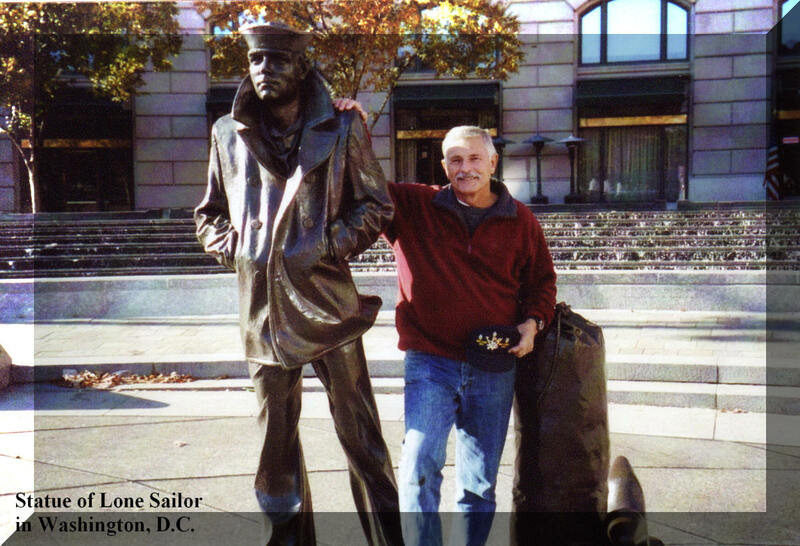 There also was a viewing of the film “Sea Power” that is regularly shown at the Navy Memorial for visitors to this site. It brought back many memories to those of us that have served on Aircraft Carriers. A solemn roll call was read and ringing of the bell for each deceased crew member in honor of their service. 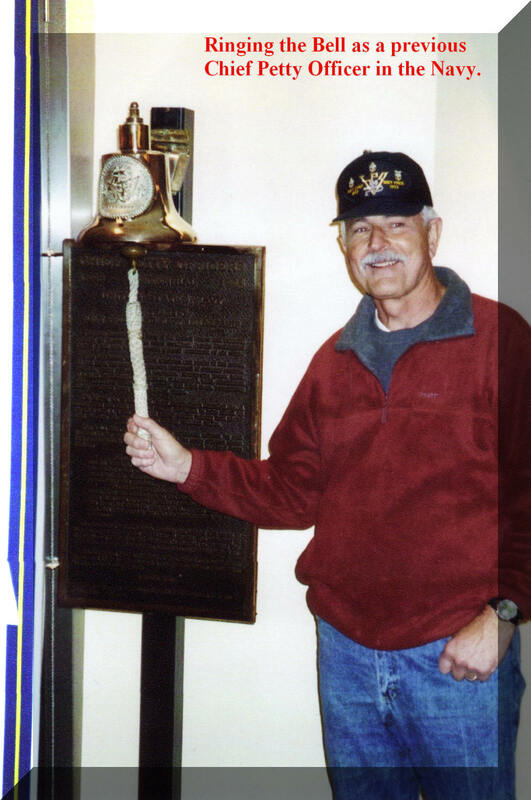 After the process was completed, an exact replica of the commemorative plaque was available to purchase. 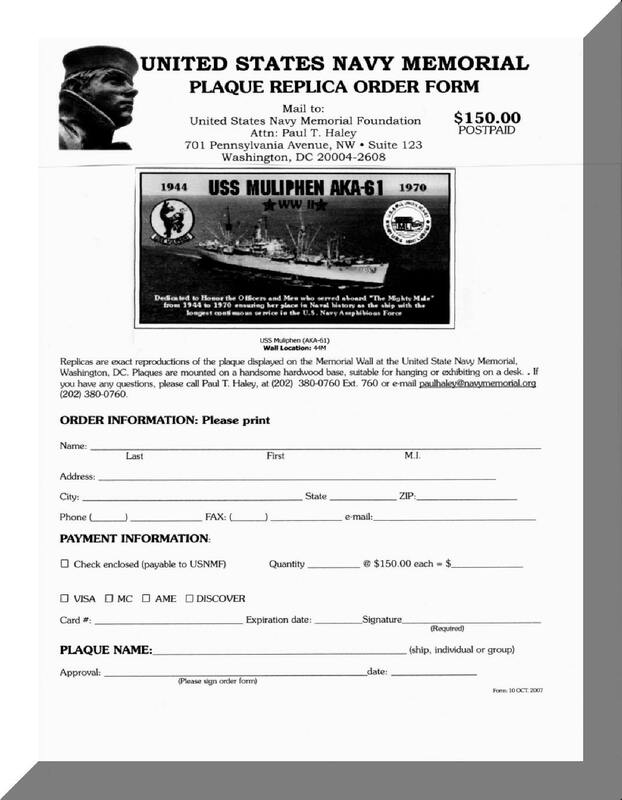 It can still be ordered using the plaque replica order form for the cost of $150.00 postpaid.